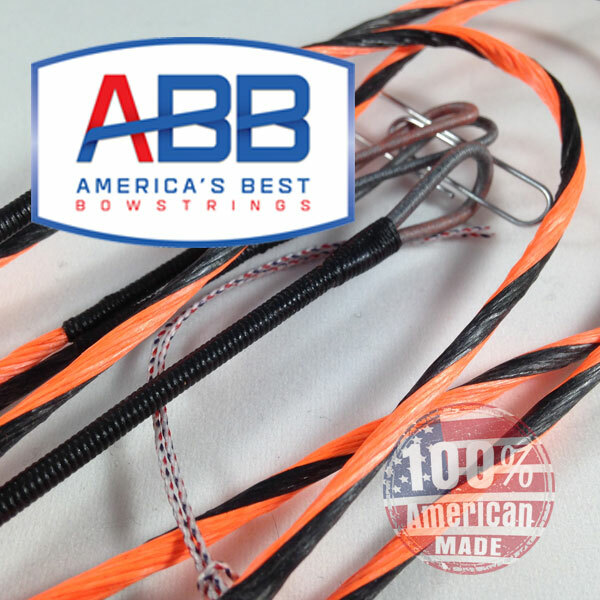 Americas Best Bowstrings offers the finest ​bowstrings and cables​ you can put on your Helix #3 2019 by Hoyt. Our custom strings, with ​advanced string technology​ offers unparalleled performance, along with zero stretch, no serving separation, and zero peep rotation. Using only the finest BCY fibers, this compound bow string has been developed to improve the performance of your Helix #3 2019. Our string building process is unmatched in the industry when it comes to durability, quality, and performance. Your string will fit your cams better because of the ​ABB Exclusive Ultra End Loops​. We also install ​Speed Nocks​ (if needed) at factory determined locations at no extra charge. Our strings utilize our Power Grip Center Serving Technology that has better grip on the string, better nock fit, and is extremely durable. With ABB, just go shoot, and as we say "Peace of Mind is Priceless"! You can build your custom string using our state of the art custom string builders utilizing many color options. Choose your colors and order! It’s that Easy! Get started building your string by choosing one of our 3 series of custom compound bow strings below. If you have any questions or need help, call our specialists at ​877-893-7155.